On Saturday, December 8, the Long Beach Walter Pyramid held the last big Jiu-Jitsu event of the year, ending the season with matches full of wars, close calls and intense engagement. The crowd boomed despite the lesser number of bodies present in comparison to other well-known events held in the same venue. It didn’t matter that the large majority of spectators were viewing through the live stream or that some of the top names were not present. The event was the first of its kind and it delivered far more than we had anticipated! The free live stream allowed viewers from around the world to be present as the matches unfolded leaving no pause or break in entertainment. Allowing you to choose whether you wanted to hear the commentary from members of the Budovideos team, the stream was easily accessible with no sign-on necessary. 1. The rise of the 19-year-old new black belt. In what was a previously anticipated match that ceased to happen two months prior at the 4th Southwest Classic in Arizona, Tanner Rice got his chance to try out his new black belt against world champion Augusto “Tanquinho” Mendes. The 19-year-old was promoted to black belt under his father and Rubens “Cobrinha” Charles Maciel after 12 years of training, and came on the rise after closing out the 2012 World Championship brown belt lightweight division with an Alliance teammate of his. The match remained equal after Tanner pulled guard leaving the action for the last three minutes as Tanner moved for Tanquinho’s back. He was able to enter one hook but could not maintain the back mount. 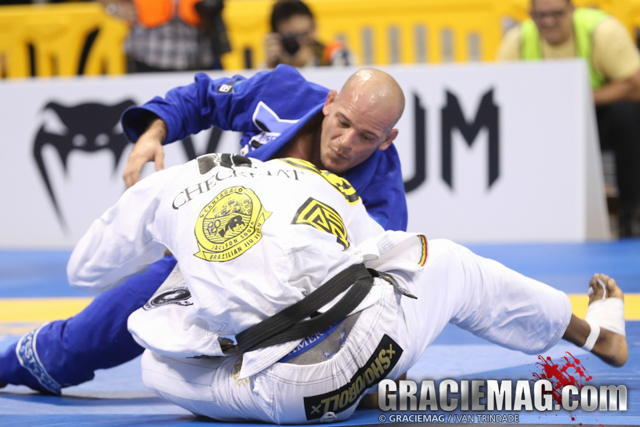 Before he lost the position he received two points as Tanquinho’s knees met the mat. Securing the win with another sweep before the match ended, it was a great match between a legend and a newcomer. 2. The footlock war between Laercio Fernandes and Caio Terra. 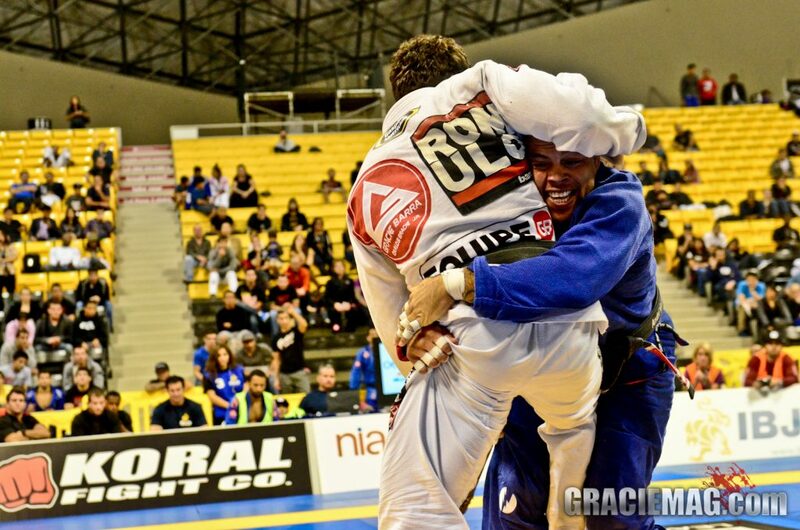 In the lightest category of the IBJJ Pro League, Laercio and Caio met in the finals. At the beginning of the match, both began a war that didn’t lose momentum until it ended in a last minute scramble that included an attack on Caio’s foot as well as a sweep attempt against Laercio. Caio came out on top, with one more advantage. Both of their feet went under siege at the climax of their match in an intense footlock war that left both attackers rolling out of bounds starting at 5:00 about halfway into the match. You can watch the match here. 3. 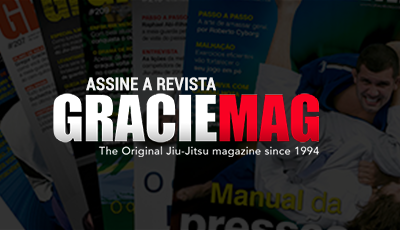 The 4th war between Lucas Lepri and Leandro Lo. Lucas and Leandro are no strangers as they have met four times in their lightweight division from the mats in Long Beach to the mats in Abu Dhabi; they seem to always find their way back to each other. This was the third win by Leandro in another close match that was once again decided upon by advantages. Both were able to exemplify their flexible guards and dynamic passing styles with Lucas pulling first until a sweep attempt causes both to stand and Leandro pulling shortly thereafter. The mere passes and sweeps of Lo were seen as more close to completion than Lucas, however both gave a match worth studying for years to come. You can watch the match here. 4. The referee decision that finalized the battle of Romulo Barral and Andre Galvao. The -88 kg division final allowed two greats to meet once again. Their matches are always entertaining as Galvao’s pressure passing against Romulo’s spider-guard never ceases to raise eyebrows. In a back-and-forth match of sweeps, scrambles and takedowns it was left to the referees to decide upon who was more aggressive. The win went to Romulo after a great showing of technique from two legends with both still able to set their differences aside after the match. You can watch the match here. 5. 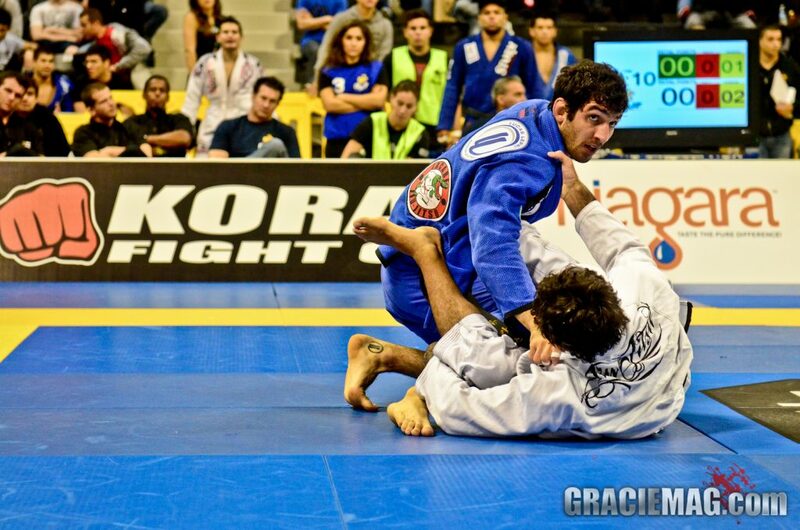 The clash of two Gracie Barra teammates… twice.